What can a Creative Sensitive or Gifted Person do when you don’t feel grateful, especially on the annual day set aside for giving thanks? If you’re like most CASIGYs™, you probably feel guilty about it. Beyond that, the short answer is that you can feel what you feel! And then you have the opportunity to deal with how you feel.The long answer is, well, the rest of this post. What do I mean, “you feel what you feel”? When you don’t feel grateful when you think you should, that usually means that you’re feeling something else. Maybe you’re feeling anxious, angry, resentful, sad, overwhelmed, or frustrated instead of feeling grateful. Maybe you don’t even know what you’re feeling. Maybe you just know that it’s almost Thanksgiving Day, and the expected gratitude has not shown up for you. What does feeling grateful (or not) have to do with being a creative, sensitive or gifted person, AKA a CASIGY™? CASIGYs have a Central Nervous System that is (a) more perceptive and (b) more reactive than that of most people. This means that CASIGYs can feel ‘whatever it is’ that you feel, more intensely. It also often takes less of a ‘something’ going on to stir up an emotional or a physiological reaction in you than it does for Neurotypical people. So you may face these issues more often and more intensely than do most people. Sigh. But wait, it’s not all bad. You as a CASIGY likely learn fast and remember well, so you likely can develop ACE level skills at this quickly! What’s behind this? Modern culture insists that we TELL ourselves what to feel, or not feel. How many times have you been told things like, “Don’t feel sad” or “Don’t be mad”? The problem with this is that telling ourselves (or our friends or children) what to feel and what not to feel flies in the face of reality. Emotions cannot typically be commanded. They just are. But we live in times when it is expected of us to “control” our emotions. This too, is not all bad. But we have confused controlling the expression of our emotions with controlling what we actually feel. Emotions consist of energy moving through our human bodies. 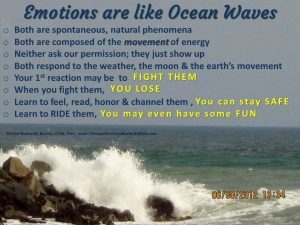 You may have heard me talk about emotions being like ocean waves. Both are natural phenomena, composed of the movement of energy. Neither ask our permission, they just show up. Both respond to the weather, the moon and the earth’s movement. Our first reaction is to fight them. When we fight them, we lose. When we learn to fee, read, honor and channel them, we can stay safe. When we learn to ride them, we may even have some fun with them. But modern culture has taboos against feeling emotion, especially any emotion deemed negative or unacceptable. This taboo creates no end of trouble for humans and especially for CASIGYs. There are a few “acceptable” times and places for certain emotions, like feeling excitement at a football game. And in a limited way, women are allowed to feel tender, vulnerable emotions and men are allowed to feel harder emotions such as anger and to express aggression. But the whole spectrum is not available to anyone. An emotion can be considered unacceptable when it makes others uncomfortable, when it reveals or highlights a reality that is less than ideal, makes others look bad, or is something they don’t want to deal with, just for starters. It can also be judged unacceptable when expressing it, especially in its raw form, is hurtful or dangerous to others. These cultural taboos are even greater against expressing (unacceptable) emotion. So what happens? We try to not have or experience (unacceptable) emotions. We pretend that we don’t have them. We try to push them down or away from us. We fend them off. We expend considerable amounts of energy and time to shut down our unacceptable emotions. As I often share with my clients, shutting down our emotions has at least two kinds of results. One result is that when we shut down unacceptable emotions, we shut down all of them. 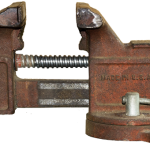 It’s like a vice – when you crank it closed, everything inside gets squeezed. When we shut down “negative” emotions, we shut down all emotions. The second result is that it’s as if we each wear an invisible backpack, and every time we feel an unacceptable emotion, we stuff it in there. Before long, that invisible backpack is full. When the backpack reaches capacity, it isn’t very long until it overflows. When it does overflow, it acts like a flood or maybe a volcano – right there in your car, kitchen or living room! All of these emotions we have been trying to hide from ourselves and from others come bursting out in an uncontrolled, often pressured, stormy release. Everyone close by gets blasted by its fury. How do we respond to emotional floods and volcanoes? We stuff even more emotions in that backpack, more often and with more vigilance. 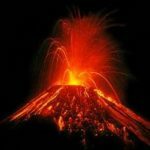 And if you have been on the receiving end of someone else’s volcanic explosions, especially early in life, you may also develop especially strong habits of trying to control what you feel, and feeling like you should be able to do this. Back to our original question: What can a Creative Sensitive or Gifted Person do when you don’t feel grateful? (when you think you should)? You can grapple with how you DO feel. When we don’t feel grateful when we think we should, there’s often other feelings blocking access to gratitude, such as GRIPES. One Key To Accessing Gratitude Is To Grapple With Your GRIPES. Grappling with them is to identify them, face them, and even wrestle with them. Your gripes may be issues or problems begging for more attention. When you listen deeply to your gripes you may be able to identify what the need is that drives or creates the gripe. For example, your gripes can show you that you’ve been working too hard, not hard enough, or maybe working on things that don’t matter while ignoring those that do. On another vein, your gripes can reveal emotional wounds that you thought were long ago healed. The fact that they currently need some care and consideration again doesn’t speak to the past; it speaks to what’s happening and what needs to happen now. Tending to your Gripes will help you identify next steps to satisfy the need that’s calling for your attention. Grappling with your gripes is a hands-on activity. You may need to get down-and-dirty. You may need to identify whether your gripe points to something that can be addressed or changed, or whether it cannot be changed and therefore needs to be accepted or even embraced. Your gripes may reveal that you have not accepted yourself in your uniqueness. Many CASIGYs™ have become aware at a very early age that they are different from most others, and also aware that this uniqueness is somehow perceived in the culture as an anti-social, counter-culture movement on their part. There’s a subtle but real perception that by virtue of your being who you are as a creative, highly sensitive or highly intelligent human, you have committed the Original Sin.That is, you are a unique human being rather than a cookie-cutter replica of everyone else. It takes a radical kind of self-love and self-acceptance to overcome this cultural rejection of your very personhood. Your gripes may also reveal that you have not accepted yourself in your wholeness. It is one thing to accept your strengths, but when your weaknesses get in your face, such as when they keep you from showing up in life in the ways you want to, self-acceptance is not so easy. In this case, your gripes may indicate that it’s YOU that needs some self-compassion and care. Self-acceptance is often elusive, and just when we think we’ve got it, it can disappear, slipping away without a trace. Tracking it down and retrieving it can be a painstaking and yet an oh-so-rewarding process. Gripes: list them in just a few words, unedited as they show up in your mind. Grins, giggles or guffaws: What is humorous or ironic in your life? Grats: Now you’re ready to revisit Gratitudes. Even if all you have to be thankful for is the fact that you woke up, or the sun came up, the earth is still spinning on its axis, then write those things down. Before long, you’ll be connecting with other “grats” and listing them, too. 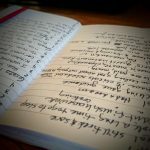 Goals: What are the most important coming developments that you are ‘holding space for’ in your life? Limiting this to 5 helps to narrow your focus to the bare essentials, to what’s nearest and dearest to your heart and critical to your whole life.